over a thing or place." 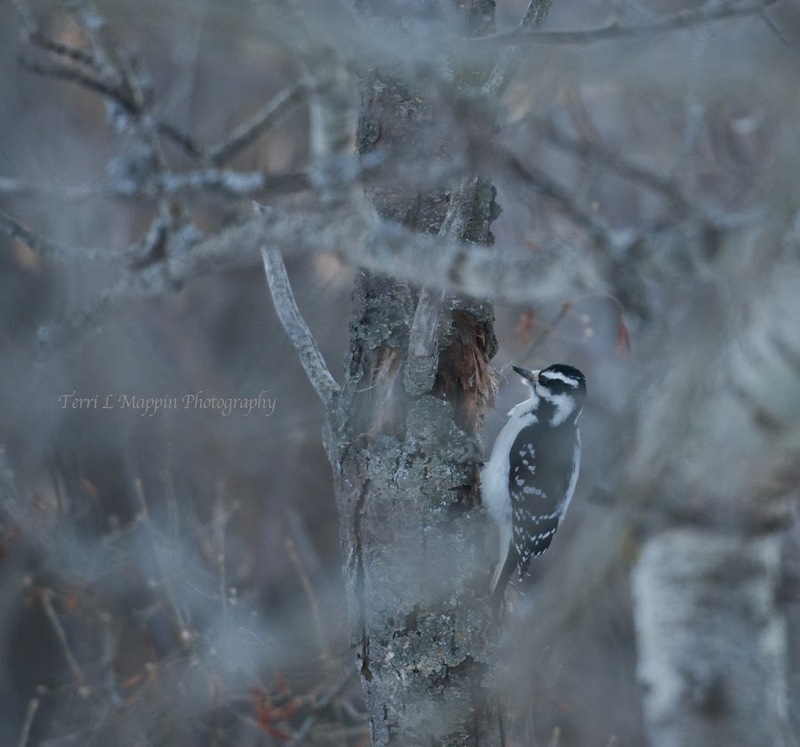 This little Downy Woodpecker sends the spirit of 'numen' echoing throughout our yard with each lil' knock! Beautiful Terri! Love the first one it certainly depicts "Numen"
I, for the life of me could not figure out what I did to the first image to have it pixilate so bad when I uploaded it so thank you for the kind words Pam! I greatly appreciate them! I was so pleased that my 4-legged sidekick remained still for such a long exposure! Cheers SK & RW! Hope you had a great weekend! I'm so glad you stopped by Norma! Thank you so much for the very kind words! I am still learning the 'craft of photography' but I love the ongoing challenge it offers and with a young, busy farm family, it's my creative 'fix and outlet!' 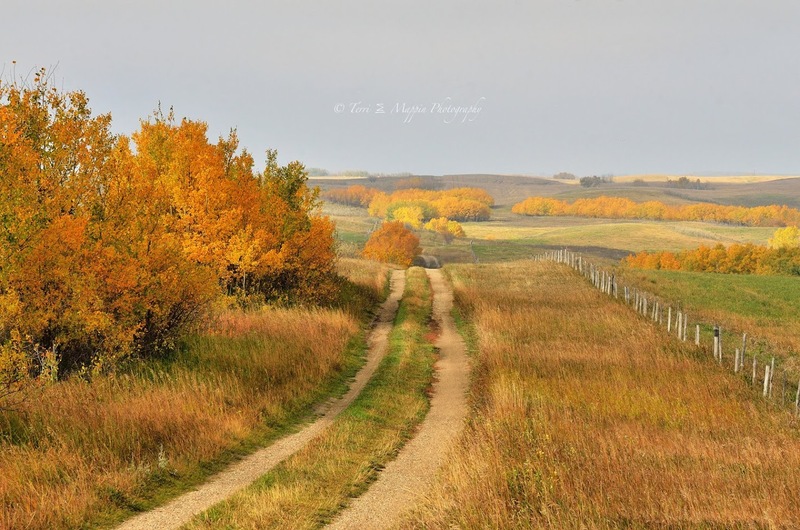 I love the Canadian Prairies and do try to showcase the 'numen' of the landscape. Some days are certainly more challenging than others but I think those days in particular can be hefty motivators! 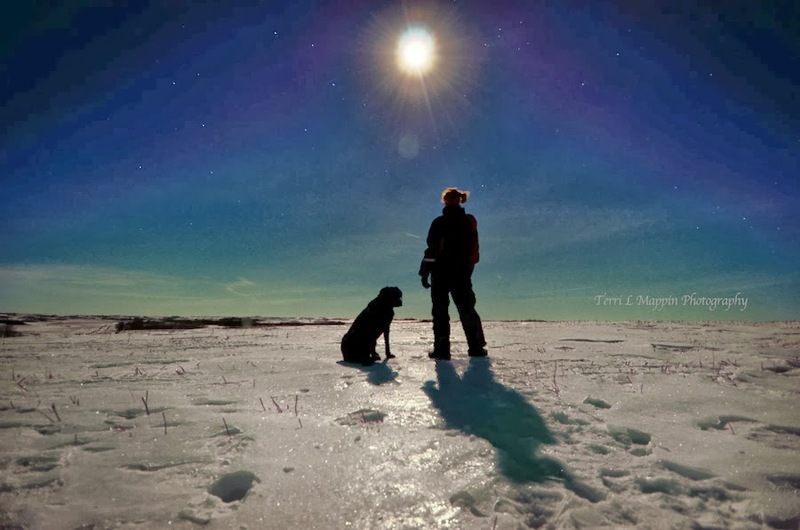 Gorgeous photos, Terri. I especially love the first, all that sky! So nice to meet you as well Susan! Thank you so much for stopping by! We were so spoiled with such a warm, calm full moon night ... in JANUARY! I love night photography but our winter has been so cold, this was the first time in a few months that I dragged myself away from the warm and cozy comforts of home! my goodness, that top photo is mystically beautiful! I just love looking at it. I do feel that you capture the numen of the land in your photography, so beautiful! Glad you like it Tammie! My sidekick is one of our new rescue hounds that came to our home before Christmas! She is an absolute sweetheart and I couldn't believe she sat still for a long exposure! Now if only I could figure out why the image pixilated so badly after I uploaded it. It's the same dimensions I use on all of my images. Tech savvy I am not! LOL! Nice to meet you Renilde! Thank you so much for visiting and for the kind words! Come again! Thank you and hope you visit again! Yes I can see definitely Numen in all in your pictures in a very stron way. Just wunderful. Cheers Barbara! Thank you so much for visiting and for the kind words!